Darrin joined Watsi on August 17th, 2015. 10 other people also joined Watsi on that day! Darrin's most recent donation supported Abraham, a teenager from Tanzania, to fund an amputation. Darrin has funded healthcare for 44 patients in 12 countries. Ho is a farmer from Cambodia. She has a son, three daughters, and four grandchildren. 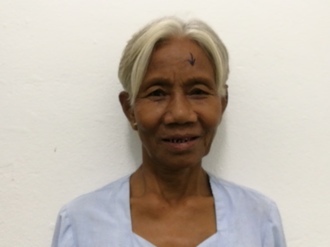 One year ago, Ho developed a cataract in her left eye, causing her headache, blurry vision, photophobia, and tearing. She has difficulty seeing things clearly, recognizing faces, and going anywhere outside. When Ho learned about our medical partner, Children's Surgical Centre, she traveled for three hours seeking treatment. On July 11, doctors will perform a phacoemulsification surgery and an intraocular lens implant in her left eye. After recovery, she will be able to see clearly. Now, she needs help to fund this $211 procedure. She says, "I look forward to taking care of my grandchildren and going outside independently." 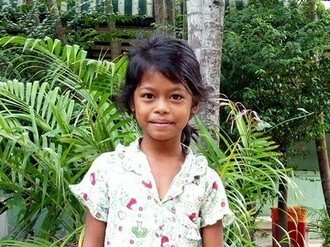 Ramy is a girl from Cambodia. She likes studying the Khmer language and reading. She wants to be a teacher when she grows up. She has one brother and three sisters. She loves eating vegetables and fish. Three years ago, she had an operation to treat the haematogenous osteomyelitis in her right femur. She had a cast for one month post-operation. This month, she went to a hospital in Battambang after experiencing chronic pain in her leg for the past year. They referred her to our medical partner, Children's Surgical Centre. She has severe leg length discrepancy and requires an osteotomy procedure to treat the femoral defect. Surgery is scheduled for June 7 and will cost $390. Her mother says, "I hope my daughter's surgery is successful and she can walk without pain and return to school." Dalton is a seven-month-old boy who lives with his mother, a green grocer, and father, a fisherman, in Kenya. Dalton was born a healthy baby. But at five months old, he became irritable and began to have trouble digesting food. Worryingly, his head circumference increased suddenly. His mother took him to the hospital and Dalton was diagnosed with hydrocephalus, a condition in which excess fluid accumulates in the skull, swelling the head and putting pressure on the brain. Dalton's doctor recommended the surgical implantation of a shunt to drain the excess fluid and relieve the pressure. Dalton is scheduled for the operation on August 28. If Dalton does not receive the surgery, he will be at risk of delayed development, brain damage, and death. 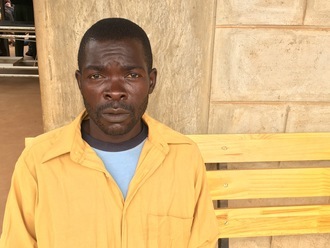 Watsi is asking for $685 to help Dalton's parents pay for the operation. Your donation will help cover the cost of the operation, surgical supplies, anesthesia, laboratory tests, medication and five nights of hospital stay. Emmanuel is seven years old and the fourth child in a family of five children. 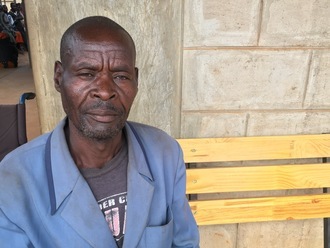 Emmanuel’s parents rely on subsistence farming. They mostly grow rice. Emmanuel wishes to go to school like his brothers, but due to the severe condition of his lower limbs he is unable to walk the long distance to school. Emmanuel’s left leg is bent inwards and his right leg is bent outwards, a condition known as windswept deformity. He feels pain when walking or running. He visited our medical partner, African Mission Healthcare Foundation, and learned that he would need surgery. Corrective surgery will restore Emmanuel’s ability to walk properly and allow him to go to school and do other things with ease. He is scheduled for treatment on October 17. The surgery will cost $838. What his father earns is not enough to cover the cost of surgery, so the family needs help raising money. Emmanuel says, “I would like to work in the farm like my father when I grow up." 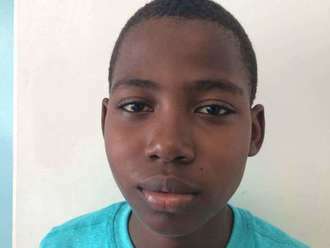 Witzer is an eighth-grade student from Haiti. He lives with his parents and older sister in Jacmel, a city on Haiti's south coast. He is an excellent student and hopes to become an engineer. Witzer has a cardiac condition called ventricular septal defect. A hole exists between the two lower chambers of his heart. Blood leaks through this hole without first passing through his lungs to obtain oxygen, leaving him short of breath. 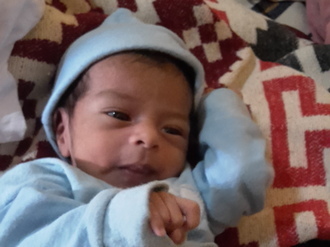 On October 2, he will undergo cardiac surgery at St. Damien Hospital, our medical partner's care center. During surgery, Surgeons will close the hole by sewing a patch across it. Another organization, Gift of Life International, is contributing $5000 to pay for surgery. Witzer's family also needs help to fund the costs of surgery prep. The $1,500 requested by our medical partner, Haiti Cardiac Alliance, covers cardiac exams and medications. He says, "I am excited that I will be able to stop worrying about my heart any longer!" Branko is a farmer from Malawi. He recently traveled to our medical partner’s care center, Kabudula Community Hospital. Kabudula is a rural community outside of the capital city of Lilongwe. The health catchment area serves roughly 350,000 people, but the health centers and the hospital are often poorly stocked and staffed. One of Branko’s teeth has been causing him bothersome symptoms. Diet is an issue for dental health in Malawi, where sugarcane is prevalent. Also, there is little to no oral health education in Malawi and limited access to a dental professional. In fact, there are fewer than 20 dentists across the country. Fortunately, a visiting dentist will perform a dental extraction. A dental extraction is a simple procedure with few risks, and it will result in a significant reduction in his symptoms. Branko is scheduled to undergo treatment on July 18. Our medical partner, World Altering Medicine, is requesting just $28 to fund the procedure. Aloni is a farmer from Malawi. He recently traveled to our medical partner’s care center, Kabudula Community Hospital. Kabudula is a rural community outside of the capital city of Lilongwe. The health catchment area serves roughly 350,000 people, but the health centers and the hospital are often poorly stocked and staffed. One of Aloni’s teeth has been causing him bothersome symptoms. Diet is an issue for dental health in Malawi, where sugarcane is prevalent. Also, there is little to no oral health education in Malawi and limited access to a dental professional. In fact, there are fewer than 20 dentists across the country. Fortunately, a visiting dentist will perform a dental extraction. A dental extraction is a simple procedure with few risks, and it will result in a significant reduction in his symptoms. Aloni is scheduled to undergo treatment on July 18. Our medical partner, World Altering Medicine, is requesting just $28 to fund the procedure.